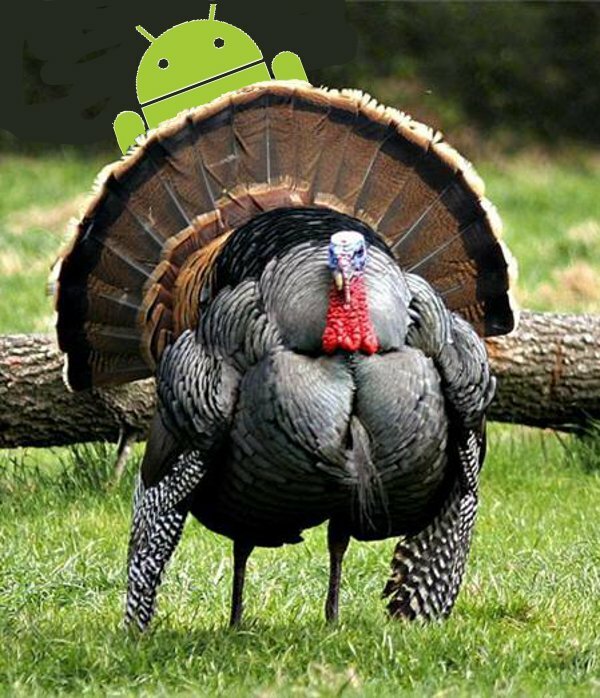 I have no idea why that Android is hiding behind a giant turkey, but that’s beside the point. It’s Thanksgiving everyone! I hope you all have family to relax with, food to stuff with, and NFL to get physical with as you gorge on massive amounts of yummies. Today marks a day of mourning for your favorite belt and jeans that will no longer be wearable after you crush that 3rd turkey sandwich. Have a great time everyone! Oh, and feel free to drop photos of your Thanksgiving spreads in the comments. I always enjoy seeing how others get down on days like this. Be safe!